On Dasher! On Dancer! On Prancer! On Vixen! Haul my fat carcass around the world at warp speed while I sit here stuffing my cake-hole with cookies! 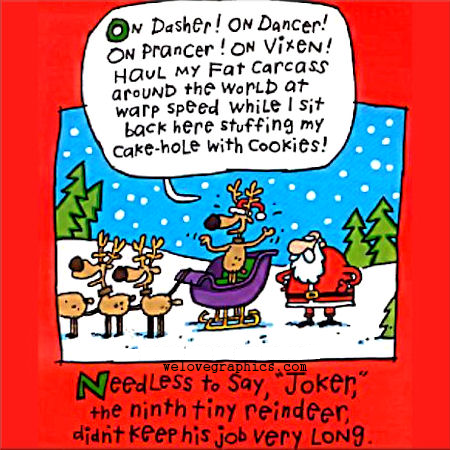 Needless to say, “Joker,” the ninth tiny reindeer, didn’t keep his job very long.